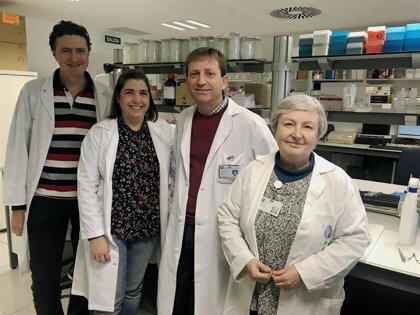 A national study led by professionals from the Malaga Regional Hospital and the Ibima Institute of Biomedical Research showed that people who consumed dairy products on a regular basis were less likely to suffer from diabetes and hypertension, and therefore to develop related diseases. Called Di@bet.es, is a project designed and promoted by the Center for Biomedical Research in the Diabetes Network (Ciberdem), with researchers and health centers from all over Spain. Director of the clinical unit of endocrinology and nutrition at the Malaga Regional Hospital, Gabriel Olivier, who also heads the research group Endocrinology and Nutrition, Obesity and Diabetes. Of Ibima, notes that the primary objective of this study was to establish prevalence of diabetes in Spain, "but it also allowed us to study the prevalence of other risk factors such as obesity, hypertension, sedentary lifestyle or diet. The cross-section of the Di@bet.esse study was carried out between 2008 and 2010 and was attended by more than 5,000 volunteers from all over Spain over the age of 18. The work was coordinated from Malaga by Dr. Rojo Martinez, the leader of the Cybersham group and career researcher Of the UGC Endocrinology and Nutrition of the Malaga Regional Hospital and Ibima, in addition to determining the morbidity of diabetes in Spain with the subjects included in the original study after eight years of follow-up. "As a result of the figures of hypertension – 39.9% – and obesity – 26.6% – in Spain, we think about the need to implement strategies to reduce the presence of these by their tendency to other pathologies associated with chronic cardiovascular disease, heart failure and cardiovascular death, Explained his spirit, adding that so far there have been no studies linking the consumption of dairy products and the presence of these diseases. This study not only highlighted the link between dairy consumption and the best metabolic profile in the adult Spanish population, but also "shows that women consume more milk, cheese, or yogurt than men while taking more sweet dairy products such as milkshakes or ice cream, Specify the adapter. Thus, he notes that northern Spain is where more dairy products are consumed and that in the east the country is less there. "The results indicate the positive effect of milk consumption in the presence of hypertension and obesity, which may contribute to a better overall metabolic state and lower cardiovascular risk," the expert said. Dairy products are part of a healthy diet, they provide proteins of high biological value, vitamin B12 and are the most important source of calcium in the diet. Yogurt Many types of cheeses have low levels of lactose, so they are listed as people who are intolerant to lactose. "Although the fats that contain dairy products are mostly saturated, their role in their association with chronic diseases, including cardiovascular disease, diabetes, hypertension and obesity, is currently under discussion," said Gabriel Oliveira. The results of this study, together with those in other countries and with prospective follow-up, indicate that in a healthy population, intake of 2/4 servings of milk was found to be a healthy eating pattern, even if it is not low. But they should be, preferably not ticking. For people who are overweight, obese or increase in fats, it would be advisable to take them in a semi-thin or thin version, added.